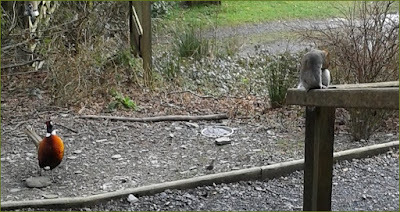 I suppose Spring is a natural time for change, more so than any other season, and this month has seen my temporary job ending - along with winter it seems - at Lake Vyrnwy nature reserve. One of the most stunning locations in the UK, it is beautiful no matter what time of year, but winter is particularly spectacular. 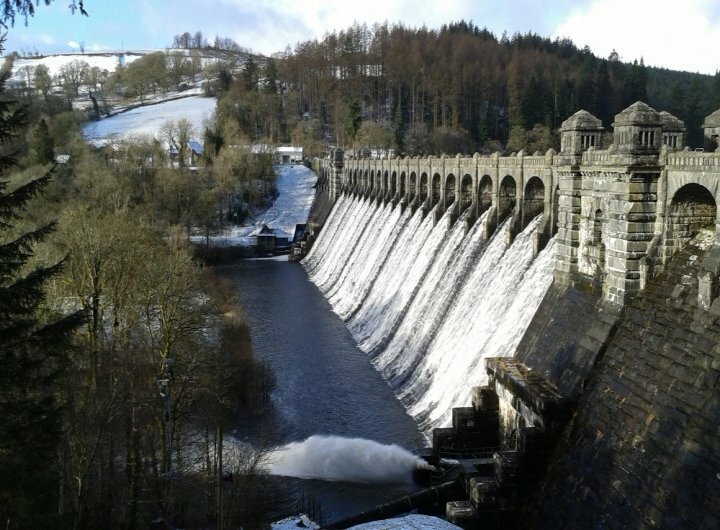 Many places can seem bleak in February, but the splendour of the snow-covered hills and the torrent of water over the dam made for a breathtaking last few days on site. While in between jobs, I have signed on as a volunteer at my nearest nature reserve Ynys Hir. 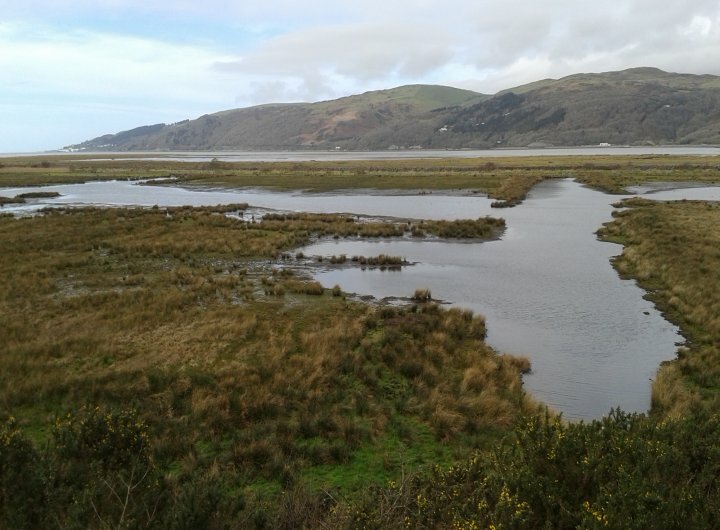 This wetland reserve near Machynlleth, with far-reaching views out over the Dyfi estuary, is host to both water birds and woodland birds, including red list species like lapwing. 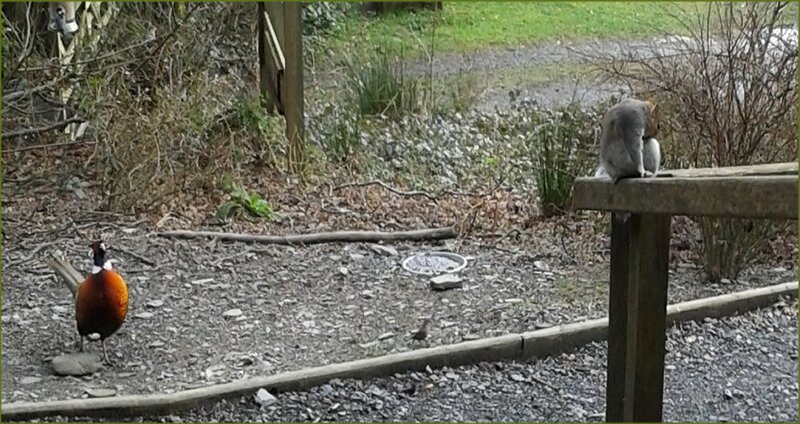 Right outside the visitor centre are some feeders and many people go there simply to sit around the log burner, with a cup of the centre's very good coffee, and just watch the common varieties that come to feed - and the not so common. A yellowhammer was seen there last year and at the moment there are lesser spotted woodpeckers around too. And, of course, grey squirrels and colourful pheasants pick up the occasional snack there as well. And the upside of having some leisure time on my hands means more time to write. I have been very good at sticking to my New Year's resolution of completing a book in 2018 and I have just submitted a partial to Mills and Boon. At the end of this week, I'll be heading south for another fabulous Fishguard weekend, run by the wonderful folk at Writers' Holiday. It'll be a chance to catch up with old friends, meet some new ones, talk about writing, chill out in the bar, and of course get the benefit of the inspiring teaching of Kate Walker. The weather looks set fair too so, all in all, a lovely start to Spring!